Avec ce groupe de NYDM, attendez-vous à du old school slamming death metal avec des sons de guitare écrasants, des voix colériques et des blast beats dévastateurs. ABDICATE glorifie la brutalité sans compromis et vous sentirez leur rage au OEF lorsque leurs chansons intenses vont vous frapper en plein visage comme une tonne de briques. 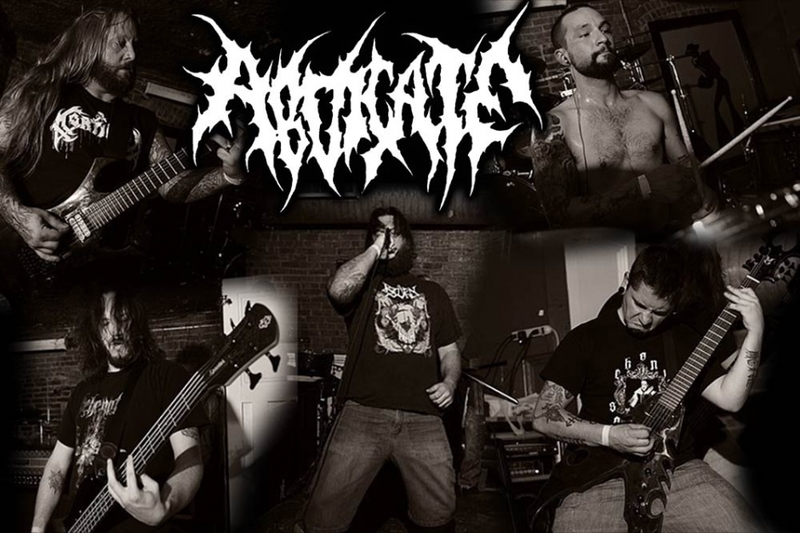 Formed in 2008, Abdicate from Rochester, New York have been slamming faces with their ultra-heavy, catchy and fast paced form of pummeling brutal death metal. With no frills they barrage the senses in a whirl wind of heaviness. This five piece is firing on all cylinders and creating pure energetic brutality! Rip a shot and head to the pit, just stay out of the Yeti’s way.